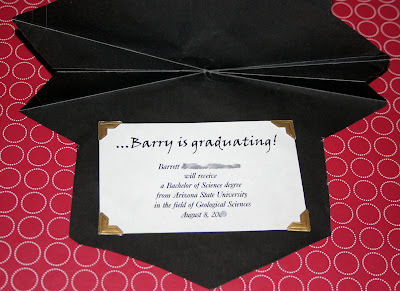 When I first posted the invitation I made for my husband’s graduation (go here to download the template). I received a few requests for some more graduation party ideas. I really think a graduation party can be anything from formal and fancy to totally casual and fun, like a luau or fiesta. The idea that popped in my head could really go either way. I would take inspiration from this party thrown by Little Ant Designs. And utilize clocks all over in my decorating. I absolutely love how she used the clocks as chargers. 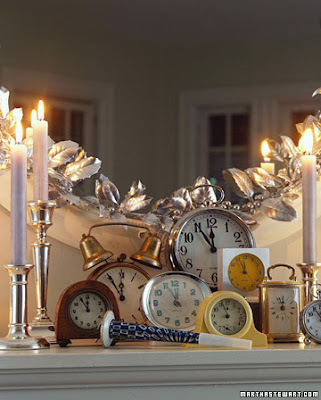 I think these were really inexpensive clocks from IKEA. For a fun party, you could have colorful ones like this everywhere. Or for a more formal look, you might take inspiration from this New Year’s Party by Martha. Mix Mingle Glow, has a collection of other clock inspired party ideas. Other ways to use the clock theme are to call it “party time,” or “time to celebrate.” If your graduate is leaving home, you could do “time to say goodbye” like the Andrea Bocelli song, but that might be a little sad. If your graduate breezed through school quickly and this theme doesn’t work so well for you, maybe you could take inspiration from what their major was or what their career plans are. For example, if your graduate is planning on attending Medical School in the fall, give your guests lab coats and shop for party supplies in the medical supply catalog. Or a high school grad planning on beauty school, might appreciate a salon-style atmosphere at her (or his) party. My husband graduated in Geology, and I totally could have thrown him a “Rock” party. Rock music, rock candy, pop rocks, and table decorations made from his rock collection. You get the picture. Let me know if you have any other brilliant graduation ideas!